Summer break is over – at least for many of the public school teachers in Texas who return to work today. Of course, many of us never really stopped working over the last couple of months, fitting in workshops and lesson planning in between trips to the beach and afternoon naps. I’ve been saving educational articles of interest to Pocket all summer, and I thought I would share some of the news that I curated that might have some impact on your planning for the new school year. 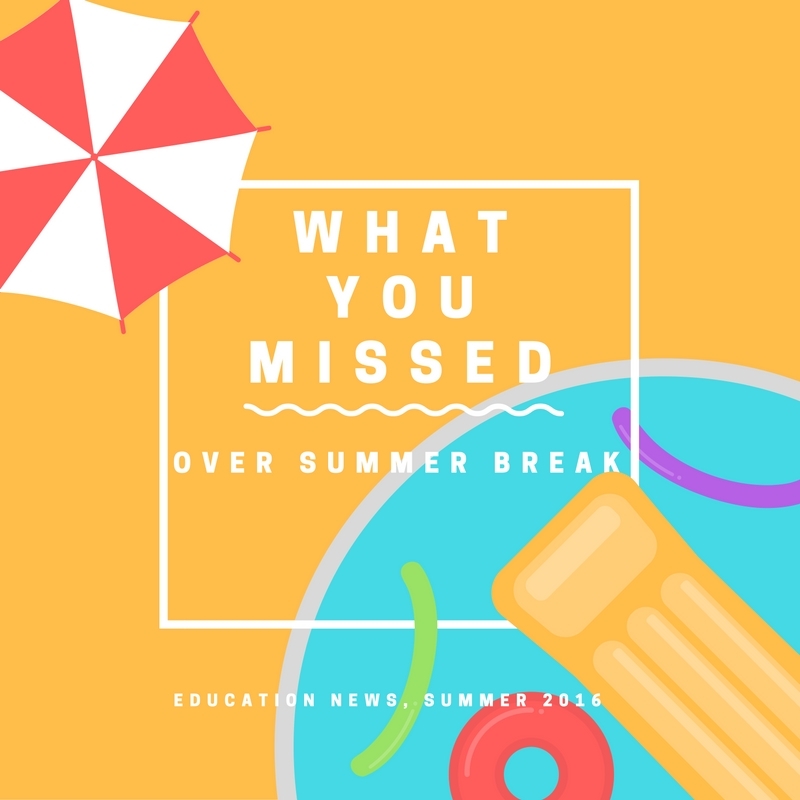 I would love for you to share any other summer education news that I’ve missed in the comments below! Osmo put out two new games this summer, Coding (near the beginning of the summer) and most recently Monster (described as “The Creative Set”). My summer camp students loved the Coding game, and I’ve just ordered Monster. Speaking of tangible coding, Google has announced “Project Bloks,” which looks pretty intriguing. The Bloks aren’t available to the public yet, but you can sign up on their interest page to get updates on the program. In other Google news, the Expeditions VR app is now available on Android with expectations to release it on other platforms later this year. Also, there is a free Cast for Education app that I am really interested in that supposedly allows students to project their work without the need for other hardware/software like Chromecast, Apple TV, or Reflector. Richard Byrne has a blog post on a new add-on for Google Docs called The Lesson Plan Tool. By the way, if you want to keep updated on new Google Classroom features, here is a good page to bookmark. When it comes to lesson planning, Amazon Inspire might be your go-to site as soon as it becomes available, with free access to educational resources. Sign up for early access now. Think about allowing your students to show off what they’ve learned during those great lessons with Class Dojo’s new feature: Student Stories. You may have somehow escaped the Pokemon Go craze, but your students probably haven’t. Here are some ways to use it educationally. Words with Friends now has an Edu version that is free and can be played on the web or on mobile devices. I haven’t tried it, but it looks like it even has materials aligned to Common Core. Breakout Edu has Back to School games. Canva now has an iPhone app. YouCubed released Week of Inspirational Math 2 last week. This is a great way to start your students off with a growth mindset in math. Do you have some education news that we might have missed this summer? Be sure to add it in the comments below!